I saw this Icicle Doll Swap and of course I immediately wanted to make one, but I wanted to catch up with TAST too. 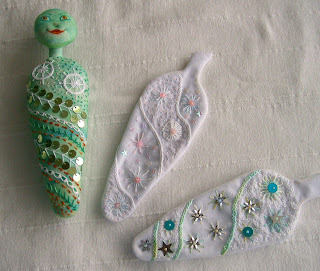 The answer was obvious, icicle dolls embellished with TAST stitches. The green one with the head on has knotted cable chain, thorn, pekinese and pistil stitches along with some seeding for texture. The white ones have pekinese and pistil stitches and seeding. I feel much better now! It was so nice to sit and do some hand sewing just because I felt like it! **Update** I keep forgetting to give sizes. The 'bodies' of these measure about 7 inches or 17.5cm. Charming. 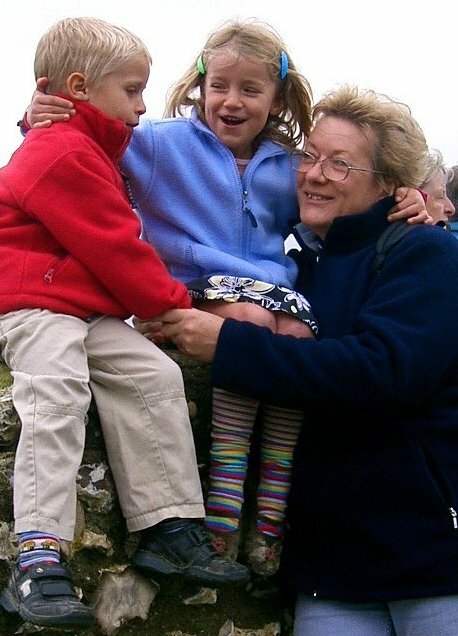 How small are these little cuties? Love your icicle dolls!!! The stitching looks great onthem. these are soo special and pretty! looove all the beading. thanks so much for sharing. Gorgeous beading and embroidery! What great dolls! Merry Christmas!